When a cosmic ray hits other atoms in our atmosphere they are smashed into showers of elementary particles that rain down onto the earth’s surface. Most of these particles decay by the time they reach sea level or are very difficult to detect such as the neutrino. 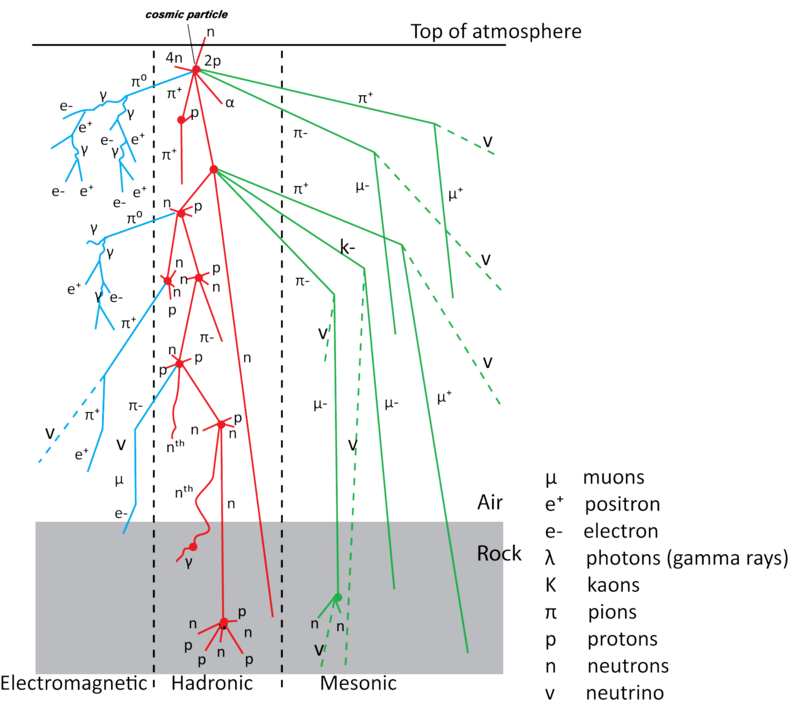 But some elementary particles such as a muon survive the journey due to their relativistic speed and have an electric charge. Consequently, can be detected using ionizing radiation detectors. The oldest and most famous example of a detector is the Cloud chamber. There is an operational cloud chamber installed and running at the South Australian Museum and in other major museums cities/countries is well worth a look. Other radiation detectors can be used like Ion Chambers, Geiger Counters, Spark Chambers, Resistive Plate Chambers and materials called Scintillators which give off light, when an ionizing particle passes through them. 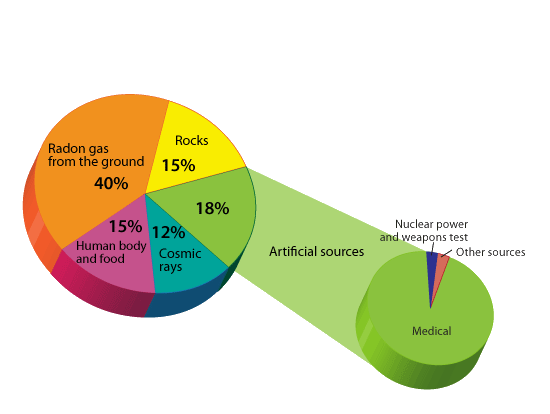 The problem using a radiation detector for a cosmic ray observation is that there is a larger amount of local terrestrial radiation as much 73% of background radiation due to the natural decay of matter or other local sources. Although small it is sufficient to make it difficult to discriminate between a terrestrial and cosmic source. Consequently, at least two detectors are required placed one above the other, feed into some electronics that can monitor coincidence between the two detectors quickly thus potentially filtering out most of the terrestrial radiation. A muon created as a result of a cosmic ray will be traveling at nearly the speed of light and so do not ionise efficiently hence can travel through large amounts of matter easily. So can pass through both detectors without effort, whereas the terrestrial radiation may not. Consequently, anything detected in both detectors simultaneously is more likely to be a cosmic event than terrestrial. Well almost simultaneously, if a muon is travelling at 0.998c and the detectors were spaced 5cm apart the actual flight time of a muon would be just 0.16ns. However as the detector and electronics response and delay times would be much slower than this, we can say in “real-life” terms it is simultaneous. The main idea of coincidence detection in signal processing is that if a detector detects a signal pulse in the midst of random noise pulses inherent in the detector, there is a certain probability, p, that the detected pulse is actually a noise pulse. But if two detectors detect the signal pulse simultaneously, the probability that it is a noise pulse in the detectors is p2. Suppose p = 0.1. Then p2 = 0.01. Thus the chance of a false detection is reduced by the use of coincidence detection. Error: Error validating access token: Session has expired on Wednesday, 23-Jan-19 16:38:21 PST. The current time is Saturday, 20-Apr-19 13:51:35 PDT.